Imagine God as a drummer. He’s keeping perfect rhythm – a perfect beat – and He’s looking at you … inviting you to join in. That beat – that rhythm – is God’s work. And make no mistake, God is working. He always has been. But here’s the cool thing … He invites us to join Him in His work! And it’s a type of work different than any you’ve ever done before. You might be thinking, “Ew. Work? Gross!” But doing God’s work isn’t boring. Doing God’s work doesn’t include a checklist of chores. Doing God’s work is more like hearing a rhythm that makes your feet move so you can’t sit still. You not only get to move, you get to play along! This summer at MIX, you’ll join thousands of other Jr. high students who are hearing the call to join in the rhythm of God’s Kingdom work. 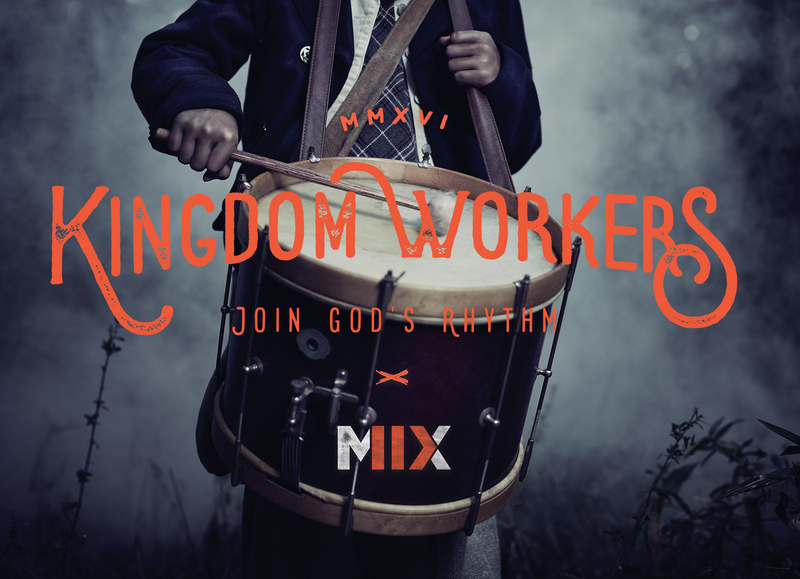 MIX will dive into the book of Ephesians, which tells us that “We are God’s handiwork, created in Christ Jesus to do good works.” You’ll begin to explore what it looks like to do Kingdom Work – to join in God’s rhythm, playing as loud as you can! God is calling you to become Kingdom workers, and to play along with the rhythm of His Kingdom in your home town. Join us at CIY Mix this summer on July 11-14. Early registration cost is $275.